From April 2018, rented buildings must meet new energy efficiency standards. It will be unlawful to rent or lease a property with an Energy Performance Certificate (EPC) rating below an E.
This applies to new tenancy agreements now and in 2023 will expand to include all privately rented property included in existing longer-term leases. New tenancies already must obtain an Energy Performance Certificate (EPC), which have A – G energy efficiency ratings. Currently 40% of EPCs are rated D or below & 25% are the worst F or G ratings. 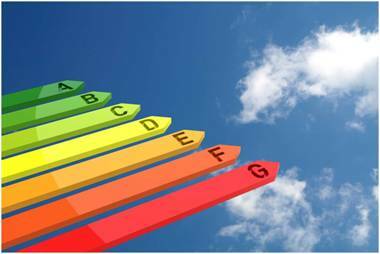 The Minimum Energy Efficiency Standard (MEES), coming in to force in April 2018, requires the property to achieve an EPC of E or better. This means that if any of your offices, sites or buildings have an EPC with a rating of F or G, you will not be able to lease that property. You must upgrade to E or above before the lease is completed. Only measures with a payback of seven years or less will be affected by MEES (they must be cost-effective measures). Exemptions will cease after 5 years (by 2023). MEES does not apply to properties that are exempt from the EPC Regulations, such as listed buildings. The regulations will be enforced by Trading Standards. Penalties will be based on the rateable value of the property, up to a maximum of £150,000. Review your sites, offices & properties – when will the leases need to be renewed, what are the existing EPC ratings, what energy efficiency works have you done or are planned? Consider redoing existing EPCs – new standards may have come into force since you did them, possibly meaning the rating may fall or even rise. Conduct energy efficiency audits of your sites and consider measures to be implemented. Think about MEES now to avoid problems in the future – if you can’t let the property without a valid EPC, just think of the loss of income.